Eureka: Is criticizing Israel anti-Semitism? The short answer is if you're doing a story criticizing government action on social inequalities that do exist in Israel, on unemployment and lack of action on that then obviously you're not being anti-Semitic. Or even if you're doing a story on how Israel should trust the Palestinians enough to create their own Palestinian state and then see what happens and should allow East Jerusalem to be the Palestinian state's capital you're not being anti-Semitic. If you're writing an article or making a speech arguing that there should have been no Israeli state in the first place, or that Israel is responsible for a lot of the world's misery, now you're being anti-Semitic. Let's pose the problem clearly. I've read a lot of stories criticizing Israel's prohibitive real estate prices, complicated taxation system, bureaucratic ways, unfavorable treatment of non-Jewish migrants and the failed adjustment of Jewish migrants. These stories are not anti-Semitic. I've also read stories about Palestinians needing a state in the 1967 borders with East Jerusalem as its capital, and that this would solve the conflict. By the way if that was Palestine's strategy then trying to invade Israeli borders from Gaza probably isn't a good move. 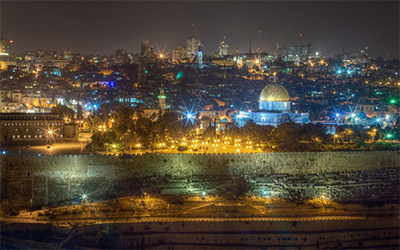 But stories that Israel should dismantle settlments in the Wast Bank, that the IDF should leave the West Bank and should make it easier for Palestinians to move from Gaza to the West Bank, and in the meantime that Israel should demolish the wall separating the West Bank from Israel. As much as I can quiibble about these theories, they are not anti-Semitic. Then there are those stories that compare Israelis to Nazis, that call Zionism a radical theory, that call Israelis all kinds of names, that call for the destruction of the state of Israel, and that have delusional theories like if there were no Israel there would be world peace. That the war in Iraq was Israel's fault, that ISIS was Israel's fault, that the 2007 recession was Israel's fault. That Israel commits genocide in the Palestinian terrotories. Now you've crossed the line. Now here are some theories that are in fact anti-Semitic and I'll explain why. By the way, some Jews also have these theories, that does not make them less anti-Semitic or more legitimate. -”I'm anti-Zionist, not anti-Semitic” : what you're basically saying is you don't mind Jews living in the diaspora but you do mind Jews living in Israel. Or perhaps that you don't mind Jews living in Israel but that you do mind that Jews have self-governing rights in Israel. The Jews used to be the oldest people without a state. When you say you're anti-Zionist, you really mean that you don't believe in the right the Jews have to self-governance. You're basically saying that you don't mind the presence of Jews as long as they're being ruled. Where would the 6 million Jews living in Israel go? What would become of their belongings. If you don't really care, you're probably anti-Semitic. -”Israelis use tactics similar to the Gestapo” : There are 1.7 million Arab Israelis who enjoy full Israeli citizenship and countless Palestinian citizens who have jobs in Israel. Arab shops have never been vandalized, Arabs were never barred from using phones and there have so far never been anti-Arab riots. The Israeli Defense Forces only arrest those Palestinians who are believed to have committed crimes, and leaves the rest alone. Israel delivers humanitarian aid to the Palestinian territories. Arab Israelis don't need to wear signs showing where they're from. If you're using those terms to describe Israelis, you probably have a bigger problem with Jews in general. -”Israel uses divide and conquer tactics in the Arab world.” Israel doesn't really meddle with the Arab world except to prevent any serious security threats. No, Israel does not want to conquer the Middle East. Israelis are also growing tired of taking care of West Bank and Gaza business, but security oblige , there's no way out. And finally “the entire UN votes against Israel. This means something they're doing is wrong.” Palestinians did a great diplomatic trick, which was selling their cause as part of the decolonization movement. That is that it's the world's last colony. So countries hear 'anti-colonialism” and they're like “I'll vote against colonial state, Israel.” This whole anti-colonialism rhetoric has excused Palestinian terrorism in a lot of cases. If it's anti-colonialism it can't be terrorism, right? Now this goes back to not wanting the Jews have a state in any borders.